17 Jun Is your social media strategy working for your brand? If not, learn from these case studies. 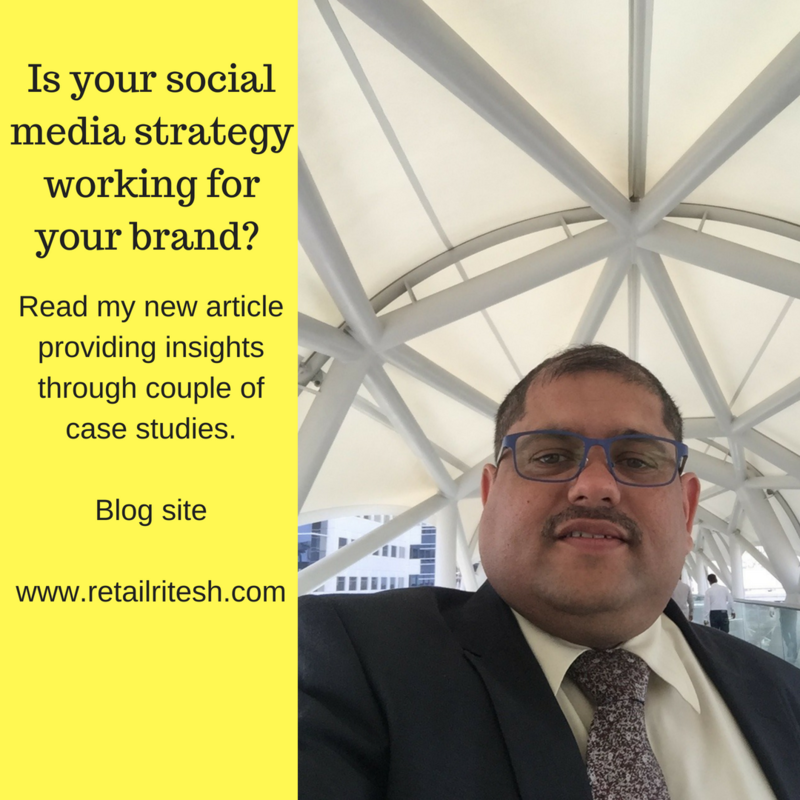 The most common mindset in today’s retail companies pertaining social media is that they feel that by assigning one additional social media expert resource (headcount) to their existing marketing team would get them to top of mind recall in their targeted customer’s minds. Social media is easy to handle and does not require great efforts nor any specialized skillset resource. Putting posts about their services and offers is all they mean with “content”. Flashy artworks, offers/promotions, and beautiful product shots are all they know about content management. They fail to identify, social media channels as a source of revenue and customer engagement. With the popularity of Instagram Stories, Facebook Live, and messenger apps have fundamentally changed how retailers interact with consumers online. Simply posting photos or updates to a branded social profile won’t cut it anymore. Birchbox uses Facebook Live to share great content and engage with fans. The cosmetics brand regularly runs Facebook Live videos in which members of the company share news, give away prizes, and answer questions on the air. Birchbox sees the live video as a two-way street. It helps Birchbox engage with target audiences in real-time, but it also allows consumers to interact with the brand. The retailer approaches live streams as Q&A opportunities with audiences where Birchbox can market the products included in their monthly subscription boxes and educate audiences about the brand. While some Middle Eastern retailers might still be wondering whether to consider live video as part of their strategies, Birchbox (the online beauty retailer) has been bullish from the start and is an early adopter of Facebook’s new live video feature. German fashion brand Born Originals has a large and engaged Instagram following. For your information (to my readers), Born Originals creates customized sneakers and leather goods that are beautiful as they are functional. Born Originals also makes good use of Instagram Stories. Their account is filled with gorgeous photos from the company and their customers alike. Retailers will need to up their social media game and use social networks and apps to tell stories and engage with fans in real time. I hope my article would help in giving directions to business owners and retailers in the Middle Eastern region & would force them to think differently and innovatively with their existing businesses.